"Creator of the universe, help us..."
and the capitalists, alone, are guilty of the war. The 'little man', the ordinary citizen, was not only swept up in the horrific events as victims of the Holocaust. The ordinary citizen was also somewhat responsible for providing the victims such a sickeningly efficient route to the gas chambers by admissions of profound ignorance or by practical reality. To lay all the responsibility of the atrocities at a few privileged Nazi jackboots cannot be wholly accurate. Fear kept people in place on both sides of the line and it also eased the way for pained consciences, if not to be soothed, then in a cautious way, neutralised. In short, ordinary men and women were under grave threat not to reveal the truth (a monstrous truth scarcely believable in the first place) so they simply didn't. No one got word to the Allies either (an assumption that I cannot confirm) but they were too busy with the bigger war, one suspects, than to turn their resources to an event occurring in German occupied territory even if they were fully informed. In almost total secrecy, six million souls were wrenched from their homes, forced into the starvation and desperate hardships of the ghettos – Jewish prisons essentially in which the starved fell and died in the streets, at the rate of five thousand a month – and then thrown on a ghastly conveyor belt with certain, terrible death literally at the end of the line. Six million is an abstraction. Six million is a number. Six million experiences cannot be interpreted. Noted French political film-maker Claude Lanzmann had only the tiniest number who were witnesses to these unspeakably awful events, sole survivors prepared to be filmed (and others not so prepared). To make the unspeakable as eloquently spoken, it takes a rare breed of film-maker. Shoah is a masterpiece in the way that provokes awe, outrage, vital self-examination, tears and great respect for the artistic and intellectual conviction that strove to make this film at all. Yes, it's nine and a half hours long but as you move from one anguished – or more disturbingly – one smiling face to the other, you are taking a journey into the darkest hearts of the worst the human being can be. Watching Shoah (albeit in three bites) is like being shown a blade of grass knowing the field is enormous and that the single blade cuts in a way that is sometimes unbearable but always illuminating. It's safe to say that we would not like to see what Lanzmann's lens is lighting up. In the worst way (and therefore believed to be the most effective) comparisons can be drawn with the old chestnut of the horror film cliché; what is imagined is so much worse than anything that can be shown. The irony here is that if Lanzmann had film of these horrible events (not the aftermaths which are well documented), it probably would be worse than anyone could imagine. I'm pleased to note that artistically, Lanzmann says that he would want that material destroyed if it ever existed. There is one small scale model that Lanzmann's camera moves slowly over, a grey representation of what might have been a typical day at Auschwitz's gas chambers and even rendered like this the model is scarcely believable. You keep thinking all the time throughout the film, how could human beings do this to other human beings – innocent human beings, adult and child alike. I knew what any reasonably well read person knew about the Holocaust. I was determined that this review would be a dispassionate look at a DVD of an enormously influential work. I wanted to stand back and provide a disconnected response to a film I knew of (if you follow Spielberg's career, Shoah is known to you) but hadn't seen before. After the first hour, dispassion and disconnected-ness dissolve as they damn well should. Human beings react and care and a cold look at this extraordinary film was wholly inappropriate. If I am moved to rage against the infinity of cruelty born of a deep ignorance of what it is to be human, then forgive me. Shoah doesn't pull its punches and neither should I. A woman, a mother, slips poisoned pills into the mouths of her children and methodically witnesses their deaths shortly before she and her husband kill themselves. Their circumstances? The toppling of a future in which they could not imagine living. Imagine what monstrous conditions push a mother to kill her own children? If the parents were prepared to do this, didn't their consciences at the end force them to see what they really were? Her name was Frau Goebbels, a name which should at once be familiar to you and a name that should make you snarl. This event was chillingly realised in Downfall. Another woman, another mother, slits the wrists of her children and holds them close as their lives slip away in a rank smelling cattle car pressed in with hundreds more, all despairing from hunger and thirst. She then, methodically, slits her own wrists, seemingly all too able to imagine what horrors await her and her kin. Her circumstances? She was one of too many souls crammed into trains on the way to concentration camps where she would be stripped, promised employment (as a ruse to lure her forward to be 'disinfected'), beaten and whipped into a room in which carbon monoxide gas would end her and her children's lives as scores of her friends and family die screaming next to her. Our knowledge of this particular woman's suicide is from an off the record statement by Franz Suchomel, one of the commanders of Treblinka, a place name that could be a synonym of a light eastern European dance. It was one of the simple Polish village locations that was the stage for such staggering terror. Both women chose to die before their time. Both women knew that an experience so horrifying was just around the corner, one that compelled them to end their own and their children's lives. You'd think that this experience would give them some kind of morbid kinship, a link to some shared event from which they (in another life) might both learn. Imagine a world where a mother's despair is seen as a universal trait that cuts across creed, race and social status, one that binds people together in a shared experience. I would say (though I cannot prove it) that most parents will sacrifice a lot and in some cases all for the lives of their children. As I've said before, I believe the way forward is in the lap – not of the gods – but those of women, educated women who are coming to understand that the universal human condition is something we all share and the gods have precious little to do with it. The love of one's child is shared by Muslim, Christian, Jew and the faithless alike. It's this aspect of 'other' that still divides us like fissures in rock – but we are all rock. There is a significant irony here. The root of the word 'religion' is the Latin 'religare' which means to bind or bring together. Has there been a more divisive force in human affairs than organised religion? Both mothers shared a profound and life-ending experience. Did the result of such an experience obviate any way to learn or for the living to learn? Can we wrest any goodness in humanity from the horrors of the Holocaust? 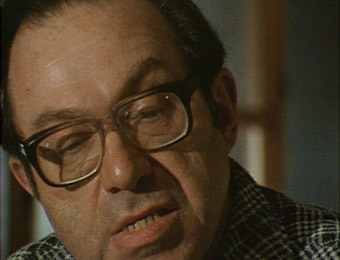 One survivor, a fighter at the only time the Jews managed to fight back, Itzhak Zuckermann, tells Lanzmann that if he could lick his heart, he would be poisoned. Needless deaths are needless deaths. The first woman (and her family) died because of a warped, idealistic belief that a life not under Nazi control would be unbearable (while the rest of the world fought to differ). The second woman died because the same Nazi regime had decided that people of her ethnic group were inhuman and slaughtering them methodically in their millions was the only way to solve 'the Jewish problem'. There is a rather effective line from the musical Sweeney Todd, a line I imagine composer/lyricist Stephen Sondheim spent quite some time locking down. Sweeney has just returned to London and is awed by the depths of depravity he witnessed in his travels. He sings "And the cruelty of men is as wondrous as Peru..." I've never been to Peru but we know from that odd word just what he's getting at. 'Wondrous' is also usually a positive word but it also works here because we do wonder at such horror precisely because we ask ourselves "could I have done that?" 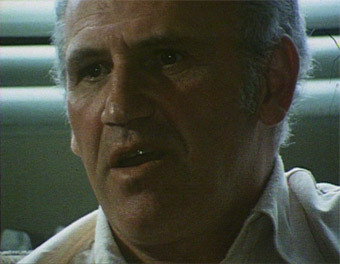 I suggest, although it rhymes but doesn't scan, that if Sweeney had made his way back after the Second World War, the line would read "And the cruelty of man is as wondrous as '42…"
Human nature is never more ambivalent, both blurred and sharply in focus, when we examine an extraordinary event. If history is spread out on a vast motorway, the Holocaust is the indescribably horrific pile up that we are morbidly compelled to witness as we drive slowly by. Yes, part of the appeal (if that really is the right word) of Shoah is that morbid curiosity but if the on screen breakdowns of Filip Müller and Abraham Bomba do not move you (I couldn't help myself, I vomited tears) then I'm not sure what could. Although these breakdowns, these nuggets of documentary gold, are carefully woven into the structure of the film, Lanzmann's ambitions are a lot larger than just moving you to tears. Lanzmann is a very smart man (see the Extras below), the very definition of the best that France can offer (a decorated fighter and drinking buddy of Jean Paul Sartre). He has structured Shoah in such a way that it's artistically correct in his eyes. It's certainly not chronological. It appears scattershot until you figure out that each kernel he's unwrapping has an underlying theme which is built upon in small degrees. The film's pace is slow, laboured in the best sense (as well as its procreative sense, squeezing truths down a very reluctant birth canal) and urgently enquiring. Shoah gives you time to address what you have been told, to soak in those older faces, minds that have witnessed the worst a man can be. What really is extraordinary is that the accounts of the atrocities all have the same or similar overall narrative but the details are all personal and heartbreaking. It's like being told the same story about fifty ways but seeing it from a slightly different perspective each time so that it is literally a well rounded account of the horrors of the death camps. A great deal has been said and made of the fact that Shoah contains no library footage. To move away from faces (as Lanzmann must) we visit these locations and I kept wondering, seeing real people still living in Auschwitz and Treblinka, whether the stench of horror gripped the places like a spiritual mist ever present. But then these towns are places where ordinary life goes on. They are home towns to the villagers, their place names now coiled around the darker footnotes of history. Lanzmann (featured as the gentle, intrusive and sometimes manipulative interrogator) stages returns to these places and puts the real people in their past context. Note the term 'stages'; a word and deed documentary film-makers go to great lengths to avoid (or avoid being caught doing). But in this context the staging offers a visual relief (close ups on faces are effective but for nine and a half hours?). When the survivors are not in context, location wise, the places are visited and crept around as if you were walking over ground where these awful events took place. 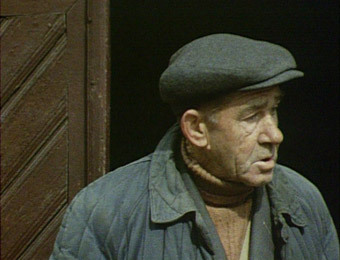 There is one example of music in the film (Shoah is free of traditional score music). Music plays merry hell with documentary images because it's leaning you emotionally in certain directions. I imagine Lanzmann wanted none of that. It's a good decision. The German dance song almost makes you jump. The point of it becomes clear but it is hugely effective at knocking you hard into the next scene. You simply wonder why you are watching an elderly couple dancing and to watch any movie that gives you time to wonder is such a refreshing experience. A very silly thought crossed my mind in an idle moment and it's unworthy but as good an indicator and what we've lost in film-making terms. Can you imagine Michael Bay's Shoah? It would be cheap of me simply to recount some of the more horrific stories – all of them are horrific, even the ones that didn't make the final cut (see Extras again). Shoah is an experience that you must commit to and by the time you emerge from the other side (which six million did not) you know more, feel more and you have tapped into a deep (I hope) well of your own compassion. I'm not saying that this will necessarily make the world a better place but we can never go back to that degree of barbarism and even in writing that, images started to pile up in my not too informed brain, images after the Second World War. What about Rwanda, Croatia, Iraq and all the Pol Pots in the world? We are still a barbarous species but it takes a refined barbarism, if there can be such a thing, to create a building that is specifically designed – let this sink in – specifically designed to herd hundreds of people into at once, in which to drop crystals giving off deadly Zyklon B gas and at which to close the doors and wait for the screaming to stop. This was Auschwitz, the death camp that was not a fleet of green vans designed to let in its own exhaust to kill those inside as was the extermination method in Treblinka. Auschwitz's was a human-designed, human-constructed, human-maintained building to kill humans. A weapon is one thing. This was pre-meditation on an enormous scale and it still makes me chill at its level of practical ingenuity. To play devil's advocate for a few paragraphs (as if we need more devils in the world), Shoah is a movie that visually is made up of talking heads (I'd say about 60% of the running time) and the rest slow movements through the locations being discussed. I can understand why this facet of the work may be hard to take. I didn't find the film flagged at all because Lanzmann is dealing with a subject so compelling that one needs the time to think, to absorb what the implications of some of the statements and how to interpret them. No. (1): Lanzmann's methods: He did end up in hospital due to a sound beating after an ex-Nazi interview subject found out he'd been deceived after being promised anonymity. That's commitment. No. (2): The director's aggressive interview technique (yes, he cajoles and tries to get witnesses to say things they clearly are uncomfortable saying but he's sniffing for truth truffles). The wife of a Nazi teacher actually says upon witnessing the gas lorries leaving Treblinka for the mass grave sites (and one would imagine she was hearing the muffled screams from within) "It gets on your nerves seeing that everyday..." as if these disgusting murders were merely a daily inconvenience to her. No. 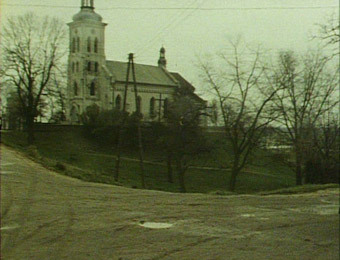 (3): The Polish villagers are misrepresented, in the sense that Lanzmann wanted to convince his audience that these were people who could actually do something about the terror in their midst. It seems they could not. His interview of the Poles who'd inherited a nice Jewish house reveals his technique to be clumsy and obvious to anyone with half a brain who could take a good guess at his agenda. But these are quibbles in the grand scheme. The experience of seeing Shoah as an artistic work is in the eye of the beholder. Lanzmann is against the interpretation of it merely being an historical document and it is by no means merely that but the subject forces one into setting out on that road. If the sum of its considerable parts pushes it beyond documentary and into an artistic representation of the darkest of our souls, then so be it – for the individual viewer. For myself, it's power as a documentary is unquestioned and it is unique for many reasons, all of them striking and simultaneously utterly terrible. 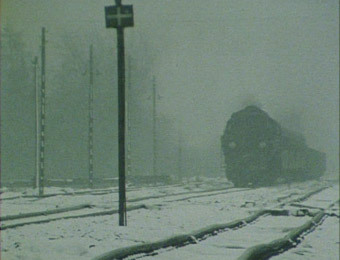 Presented in a 4:3 aspect ratio, Shoah was shot on highly portable 16mm cameras – or at least in part. Lanzmann states this despite IMDB's assertion that it originated on 16's older brother, 35mm. The dirt, scratches and tacky joins are all present and in my view utterly correct. Credence is credence but the guerrilla grubby print lends itself to these testimonials in a way a brand spanking print could not. I'm well aware of how clichéd that sounds. Lanzmann is distressed at the visual state of some of the interviews, those filmed secretly (a hidden TV camera sending signals to a makeshift outside broadcast van parked outside the location) but it was necessary. No ex-Nazi is going to go on the record given the sensitivity of their recollections. But Lanzmann needed this other side of the story to counterbalance what he had wrested from the willing participants. All sound is Dolby 2.0 with a barely noticeable hiss but it's hardly a problem at normal viewing levels. One could be a little disappointed here and say there are no extra features as far as standard DVDs go but this is not a standard DVD. In my view Shoah has the best Extra Feature of any DVD I've reviewed. The fact it's not on the DVD but inside the sleeve shouldn't detract from its inclusion in this section. Included in the simple box packaging is a 183 page booklet. (Google http://www.devilducky.com/media/57946/ for a wonderful sketch on the book as a new technology). The 4 Disc Chapter Guide – as comprehensive as you could wish for. A Gallery of all those who participated in the film. An Essay – An Introduction to Shoah by Stuart Liebman – which is a superb examination of the film including both critical and supportive comments. The transcript of a seminar with Claude Lanzmann in which the director goes over three scenes and opens up a discussion with an audience which is both heated and coldly analytical and always rewarding. The footnotes are worth reading alone and what few books can you say that about with a straight face (well, I could name 407). But, trust me, the footnotes are a goldmine in themselves. If anything, they accentuate the barbarity. A commentary track would have been one hundred horrors too many and any "Making Of" would have cheapened the enterprise. Distributors, Masters of Cinema, have pitched this DVD absolutely right. If you are too young to know how the media covered the landing on the moon or too old to acknowledge the existence of mp3s, Shoah is a must-see-feel experience. Approach it warily for you may not like what you find.